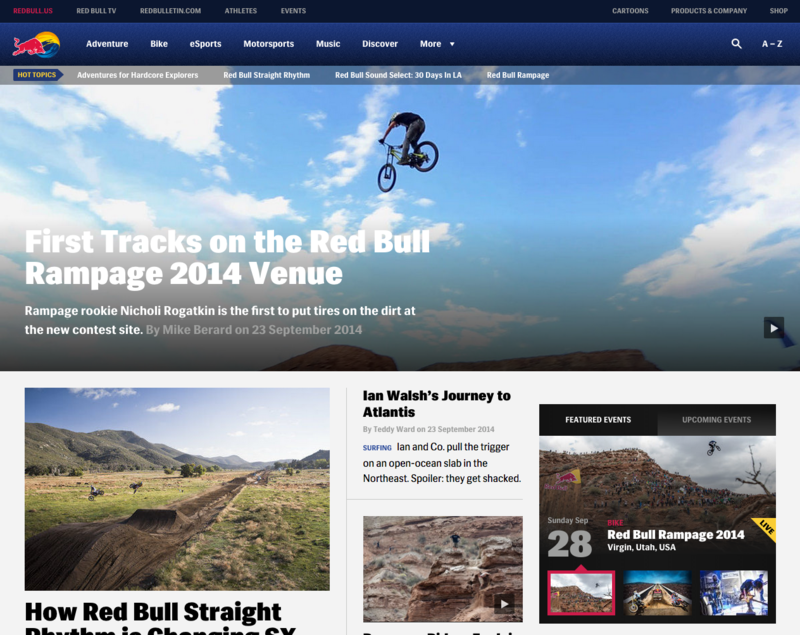 In recent years, Red Bull has transitioned from a beverage brand to a full-blown media company with an exceedingly smart visual content strategy that takes content marketing to new heights. What are the keys to Red Bull’s world dominance? 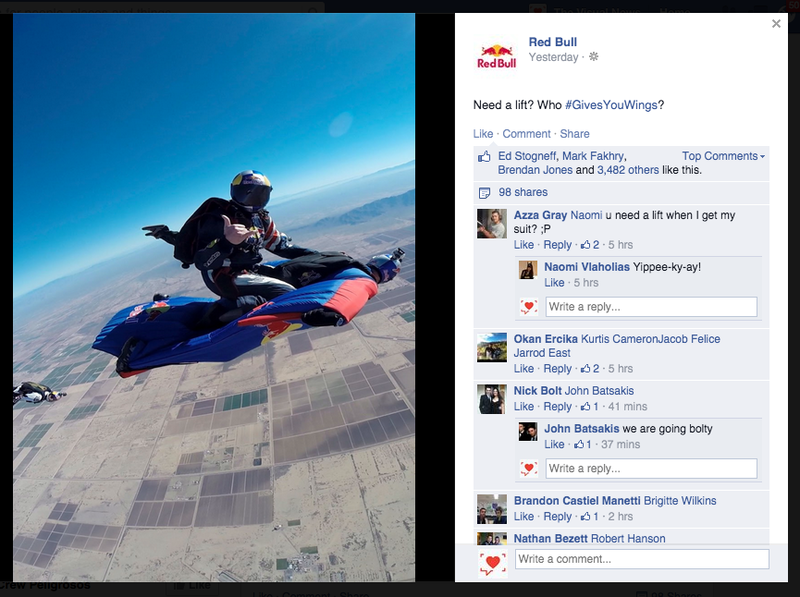 Here are the 5 things you can learn from Red Bull’s visual content strategy. The Red Bull brand is all about action, energy, and adventure, a brand identity that is always communicated through impressive visuals. The experiences Red Bull captures and shares—biking, skydiving, surfing—completely immerse viewers in the brand lifestyle. Nothing short of the visual form can so quickly and easily communicate the intense out-of-your-comfort-zone action that defines Red Bull—and the brand knows that very well. No matter where you engage with the brand, this visual voice is always front and center. 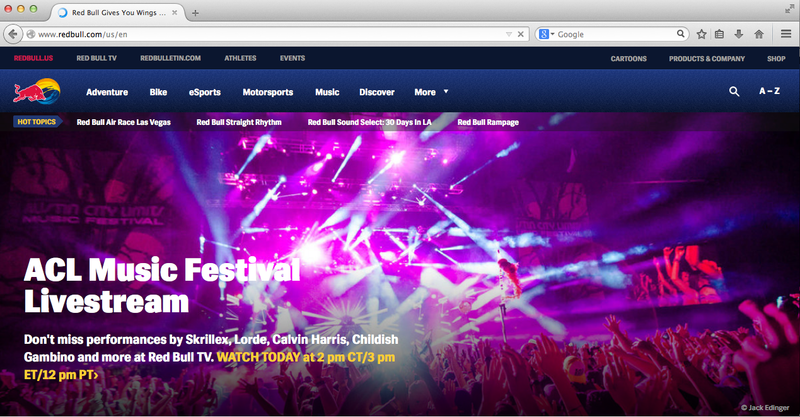 Land on the Red Bull website and 85% of the screen is an image. Go to their Twitter page and try to find a post of theirs that’s solely text. Takeaway: Look for ways to visually enhance any content you create, no matter the use case. Providing a steady stream of content across all platforms helps Red Bull broaden its fan base and entice consumers to interact. 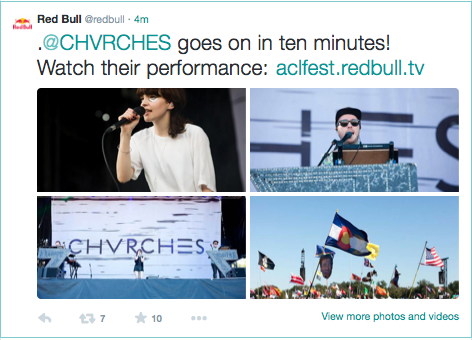 Whether it’s Red Bull’s YouTube channel, film-producing branch (Red Bull Media House), The Red Bulletin (a magazine with over 5 million subscribers), or Twitter, the brand maintains a presence to connect with consumers in every way. Everywhere you travel on Red Bull’s expansive network, you can expect to be served an irresistible array of visual content: absolutely breathtaking video, up-to-the-minute event pics on Twitter, illustrative adventure gear guides, live music performances, and so forth. Using a diversity of visual forms makes Red Bull’s content continuously fresh, encouraging viewers to continue to explore. 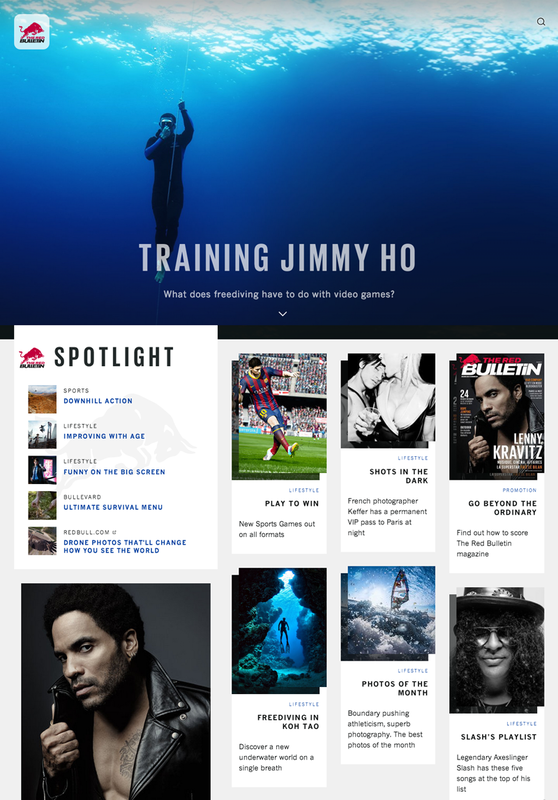 The Red Bulletin feeds readers a steady stream of hyper-visual content, from articles to photos of the month, on a variety of subjects. Diverse content means more time on site and more engagement. Takeaway: A healthy mix of content keeps consumers engaged and wanting more. Great content gets results, and Red Bull smartly tailors visual content to fit into the ethos of each social media site for maximum shareability and social buzz. Friends gawk at insane wingsuit videos over coffee. Complete strangers discuss the insanity of the Flugtag. And it wasn’t a matter of who saw Felix Baumgartner jump from space; it was who didn’t. Over 8 million people watched the Baumgartner jump live. It’s clear from a quick glance at the numbers on their Facebook, Twitter, and Instagram that Red Bull creates a daily spectacle that its audience loves, talks about, and shares, taking Red Bull along for the ride. Takeaway: If your audience isn’t excited to share your content with friends and colleagues, you’re doing it wrong. Red Bull knows how to put its audience in the action. But that doesn’t just mean helmet cams. The brand gives an unprecedented behind-the-scenes look into its extreme experiences it creates and the heroes who make them happen. From in-depth interviews with Baumgartner to mountain bikers explaining how they select their line down an unmarked course, Red Bull understands that one of the most compelling parts of any story is the journey. Wingsuit skydiver Amy Chmelecki packs up for a jump. Behind-the-scenes visual content captures the process from preparation, to performance, to ultimate celebration, because when it comes to visual storytelling, there are few things more engaging than understanding what it’s like to actually be there. Takeaway: Don’t just show your audience the highlights; put them in the story. Take a look around the Red Bull world and you’ll see one thing missing: any mention of the drink. The visual focus is lifestyle—not product. Instead, the content itself remains the conduit between the brand and its consumer. This casual approach gives the impression that Red Bull is having so much fun living an adrenaline-fueled lifestyle, selling a product is almost secondary. Takeaway: Showcase your brand, not your product. 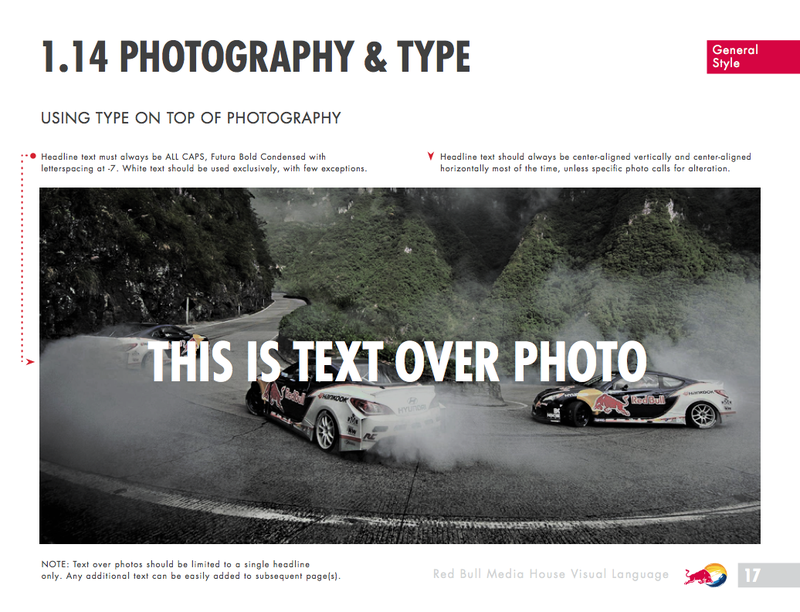 No matter what industry you’re in, Red Bull provides a great template for creating engaging visual content that makes an impact with an audience.